Traveling Alone? Enjoy this AMAZING Solo Traveler Deal! Expires: Jun 01, 2019 Get This Deal! Zero Single Supplement on Select Latin America, Antarctica, the Mediterranean, Caribbean or Pacific & Oceania cruises! Make the most of your solo trip with Ponant's Single Privilege offer and allow yourself to enjoy an unforgettable cruise on board one of Ponant's luxury vessels with no price supplement! To benefit from this great deal, see this selection of itineraries and departure dates for Latin America, Antarctica, the Mediterranean, Caribbean or Pacific & Oceania. You are sure to find a PONANT cruise of your liking! 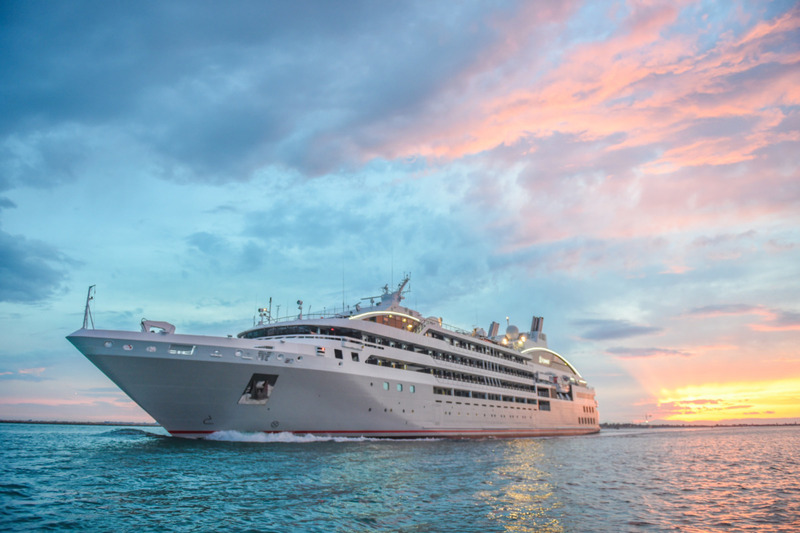 As the only French cruise company, PONANT is an ambassador of the “French Touch” around the world. With French crew, discreet service, refined cuisine and partners that embody the same spirit of excellence and refinement, they do the utmost to maintain this unique cruising philosophy. French crew - The French Touch means, above all, a French crew to welcome you and ensure your comfort and well-being throughout your cruise. In an atmosphere of elegant luxury, you will find a five-star service on board to ensure you enjoy a unique travel experience that is simultaneously authentic and refined. A French Way of Living - The French Touch also means a way of living in which excellent gastronomy takes pride of place. Every day, you will discover fragrant flavors, carefully selected cheeses and wines, delicious specialty breads and pastries from Maison Lenôtre. And, as of very recently, Maison Taillevent provides its fine selection of vintage wines by the glass, Maison Veuve Clicquot champagne is served at the gala cocktails, and delicious sweets from the Ladurée bakery are on offer during afternoon tea time. Prestigious partners - Finally, the French Touch is also evident in our choice of partners, whose expertise and passion for their work is in line with our own quest for excellence: interior design by Jean Philippe Nuel, fabrics by Pierre Frey, delicate flavours from Le Palais des Thés, Hermès bath products in all staterooms and suites, spa care products by Sothy’s, and signature perfumes from Fragonard. *Applies to new bookings made on or after July 16, 2018. Many UNESCO World Heritage Sites: the saltpeter mining towns of Iquique, the historic centre of Lima, Cuzco, the site of Machu Picchu, the archeological zone of Chan Chan, Valparaiso (disembarkation port). Discover the major pre-Colombian sites and the mysterious geoglyphs. Exceptional architectural heritage, testimony to the colonial era. Discover Arequipa and the Santa Catalina Convent (UNESCO) from Matarani. Specialist lecturers aboard to share their passion for their subject and their knowledge with you. Special Promotion: Reserve This Cruise By April 30, 2019 and New-to-Ponant Guests Receive $1,200 per Couple Savings. Special Promotion: Reserve This Cruise By June 30, 2019 and Receive $950 per Person Air Credit. A cruise in partnership with PARIS MATCH. From Hanga Roa, discover the impressive Ahu Tahai and its monumental statues listed as Archaeological Heritage by UNESCO. Complementary shore excursions at Easter Island. From Aukena, you can visit a pearl farm. In Rikitea, visit Saint Michel’s Cathedral. A lecturer passionate about Rapa Nui and Orongo culture will be on board. *Applies only to bookings made as of July 16, 2018. UNESCO World Heritage Sites: Saint Lucia’s volcanic Pitons ; Willemstad, capital of the island of Curaçao; Cartagena de Indias, an old colonial city. Discovering the Los Roques archipelago, a paradise for sea turtles. Zodiac® excursions and discovering the stunning San Blas Islands from Holandes Cay. An extraordinary encounter with the Kuna Indians, a warrior tribe of the San Blas archipelago. Lecturers on board, selected for their areas of expertise. UNESCO site: the Darien National Park from Playa Muerto, and its magnificent jungle. Optional additional cost excursions in the national parks of Costa Rica, sanctuaries of unspoiled nature: the Carara National Park from Herradura, the Manuel Antonio National Park from Quepos. Discover the magnificent islets of the San Blas Islands and the picture-postcard beaches of Quepos. Sailing through the Panama Canal, truly a masterpiece of civil engineering. Encounters with the indigenous Emberas tribe in the Darien National Park and with the Kuna Indians of the San Blas archipelago. Many UNESCO World Heritage Sites: Valparaiso, the saltpeter mining towns of Iquique, the historic centre of Lima, Cuzco, the site of Machu Picchu, the archeological zone of Chan Chan. Discover Arequipa and the Santa Catalina Convent from Matarani. UNESCO World Heritage Sites: Discovering Saint Lucia and its two rocky peaks, the historic centre of Bridgetown and its garrison. 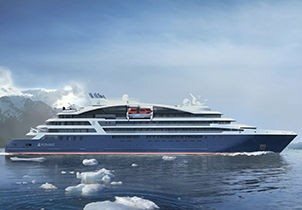 Save up to 30% on 2020 Antarctica Cruises! Single Privilege offer: no single supplement charged as part of the 'Single Privilege' offer available on a selection of cruises, subject to availability at the time of booking. The value of the deal varies according to cabin category and availability at the time of booking and may change over time. For more information on your advantages, please see the general terms of sale or contact your travel agent.